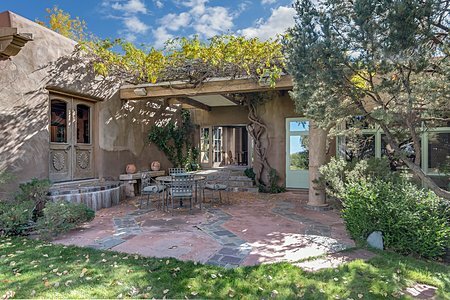 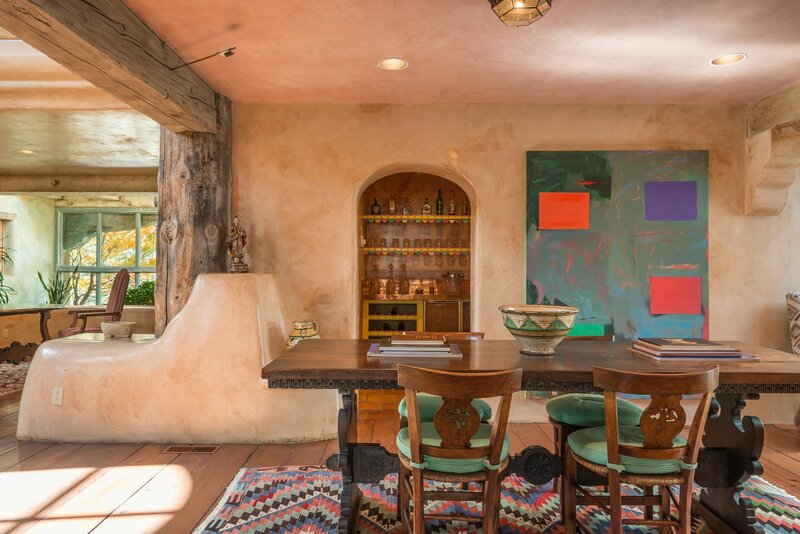 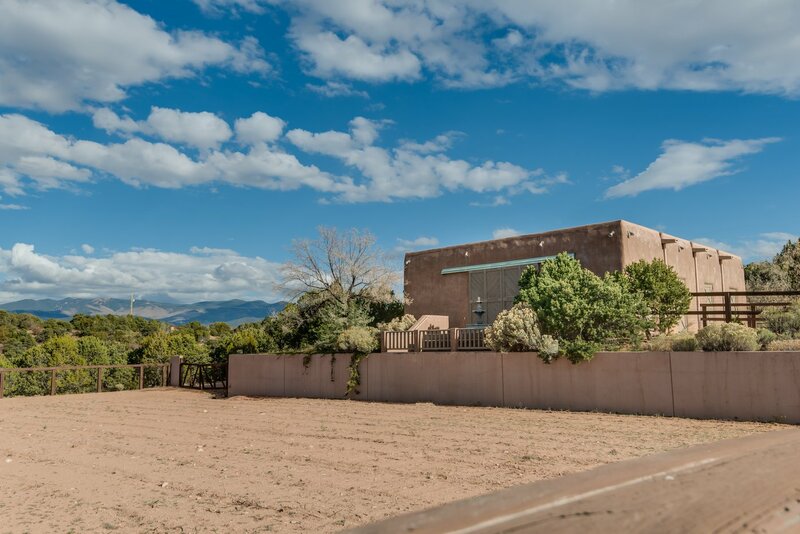 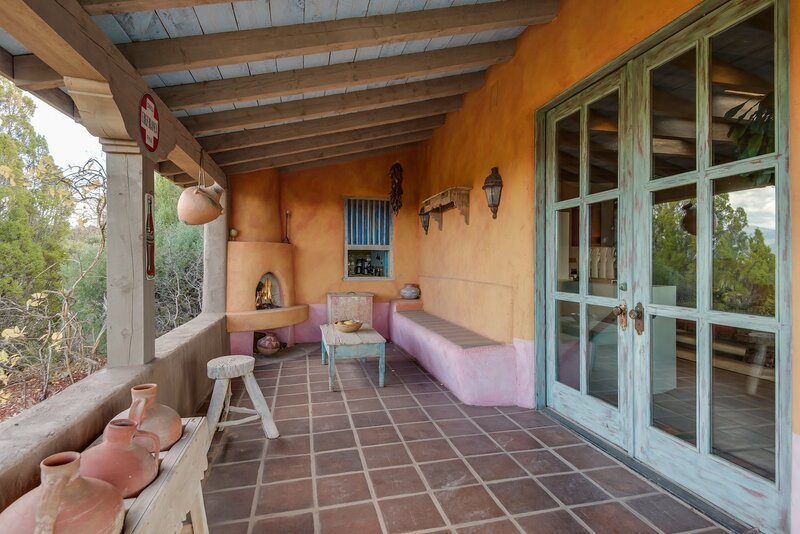 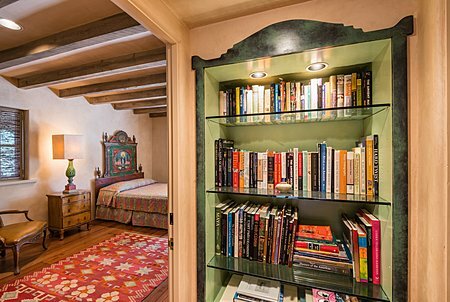 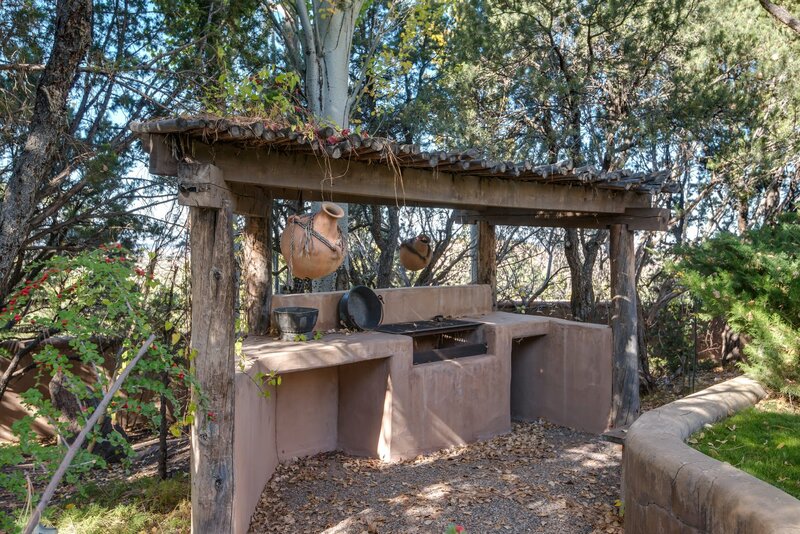 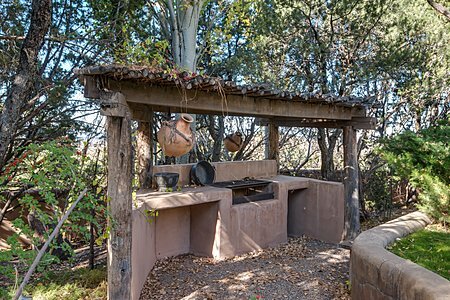 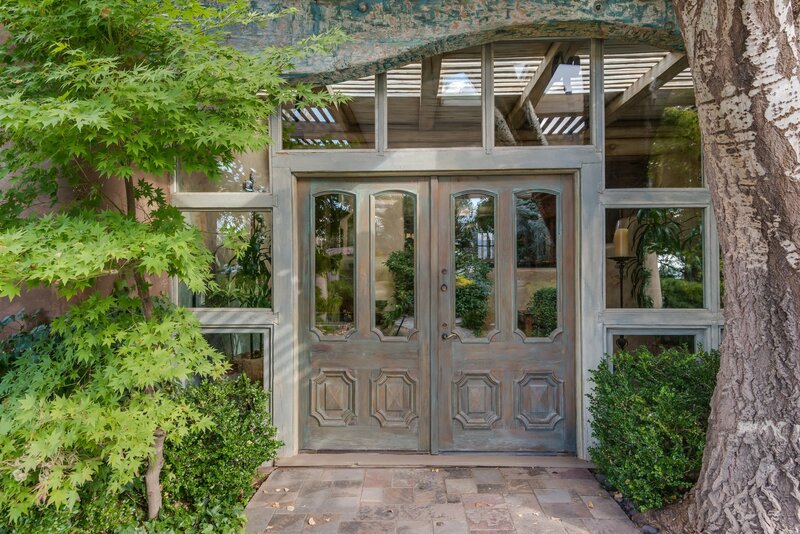 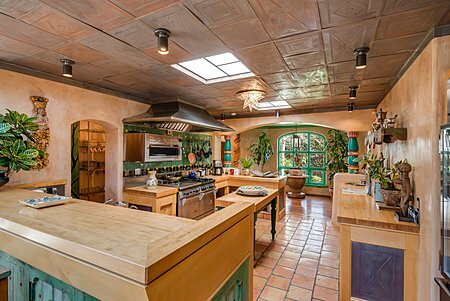 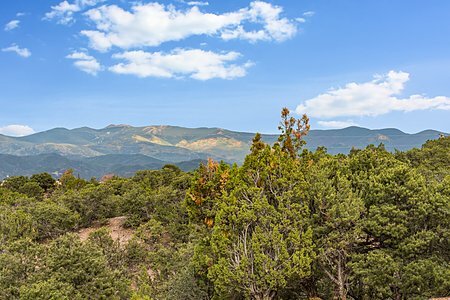 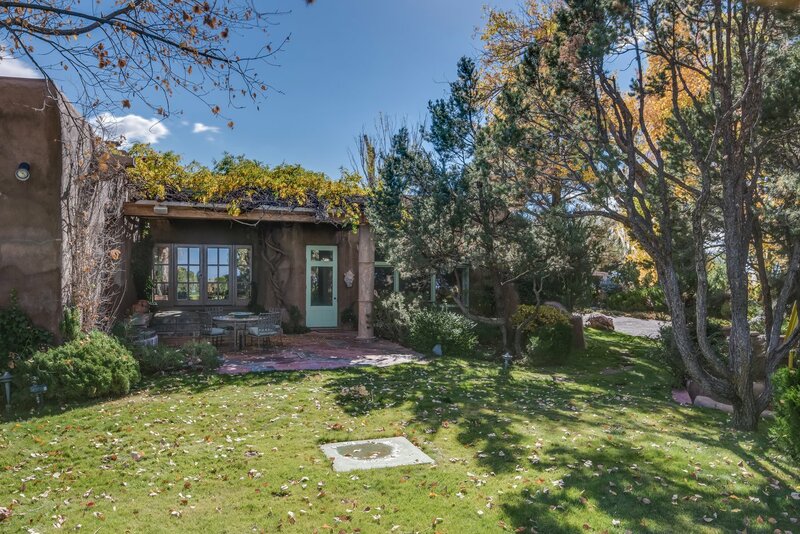 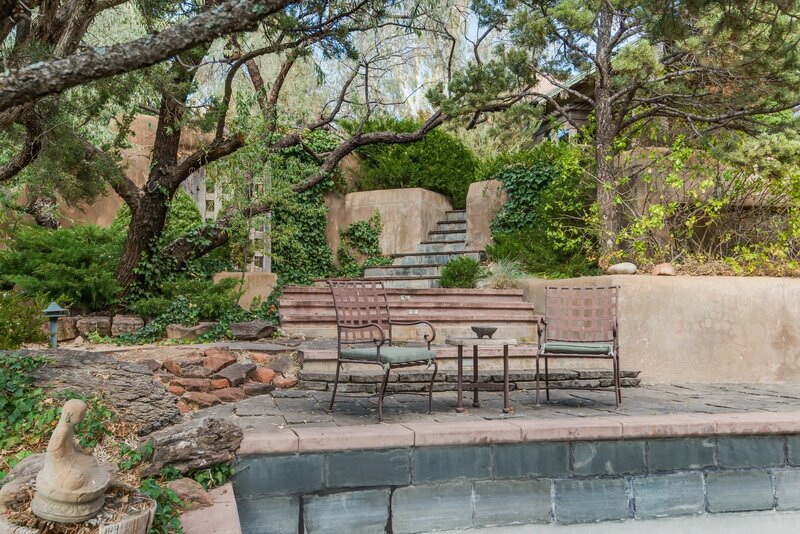 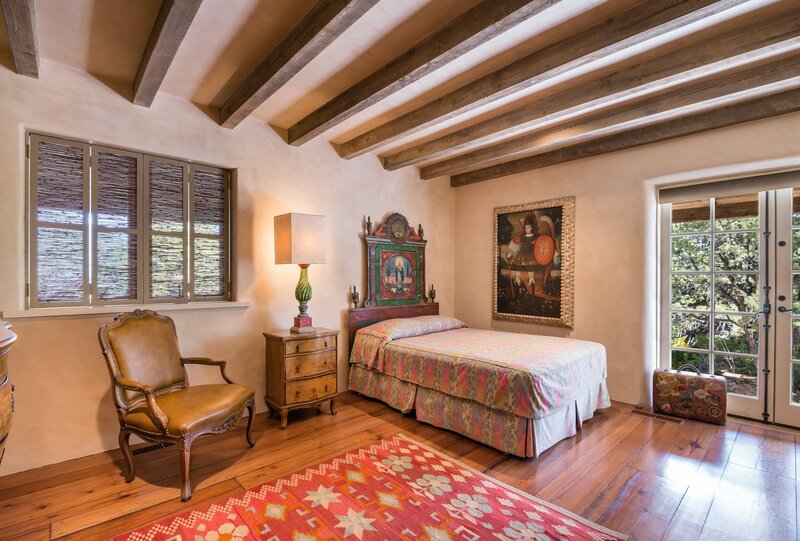 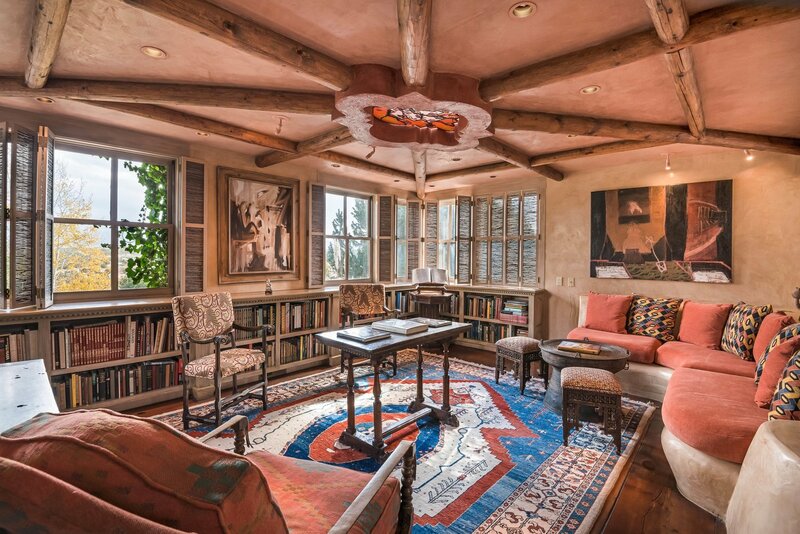 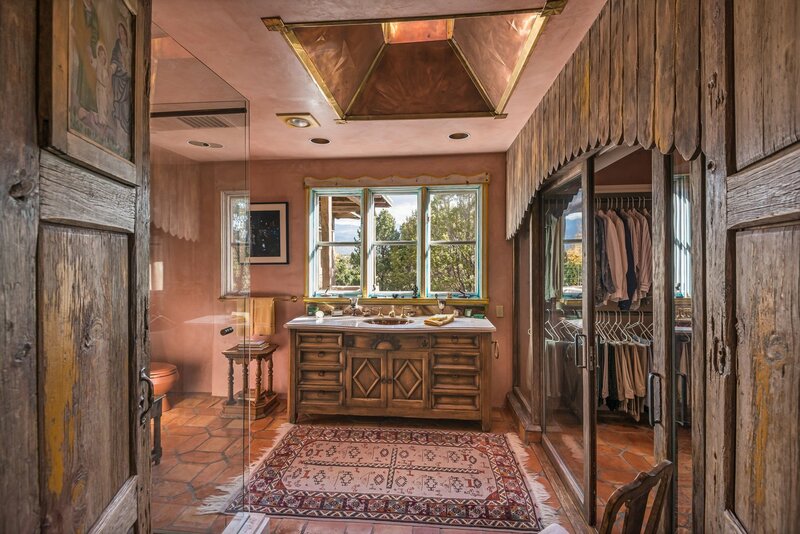 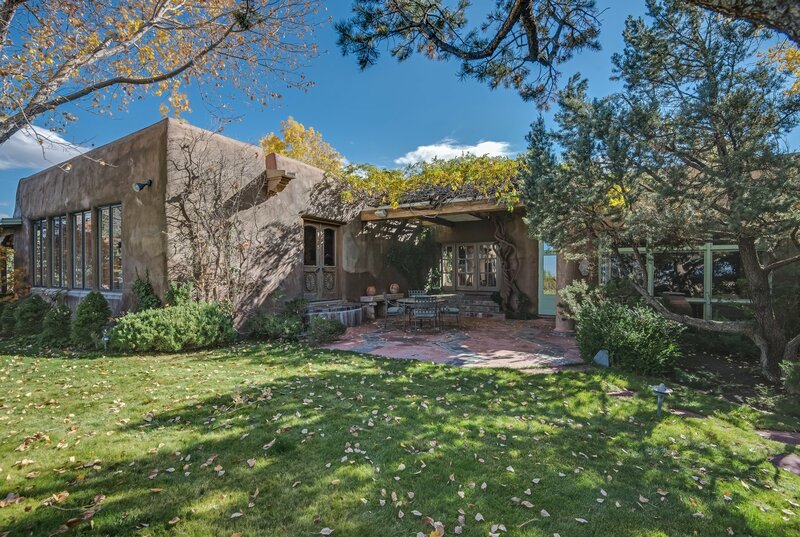 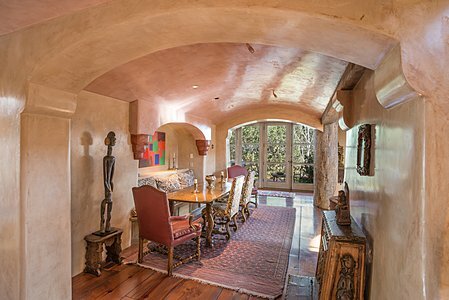 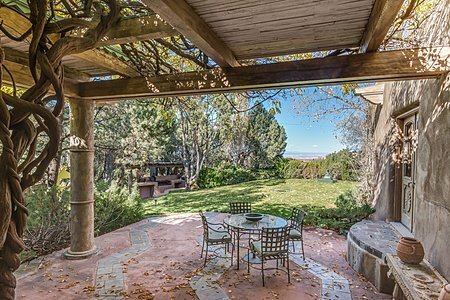 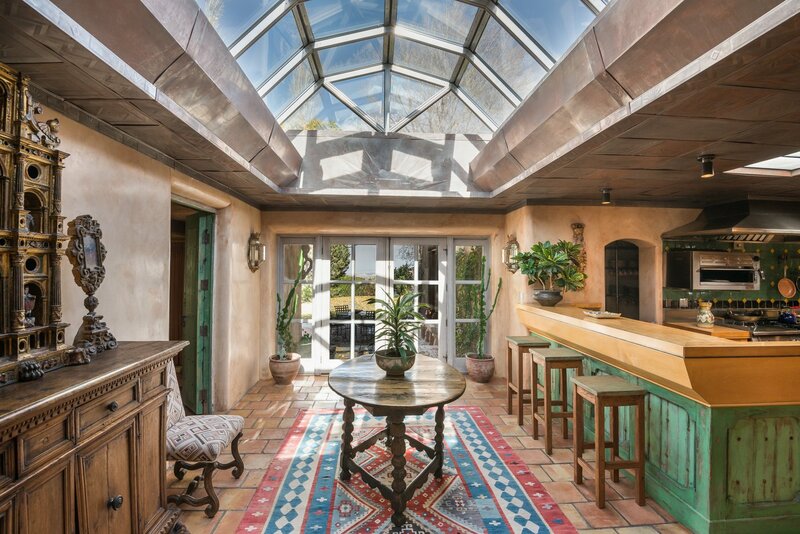 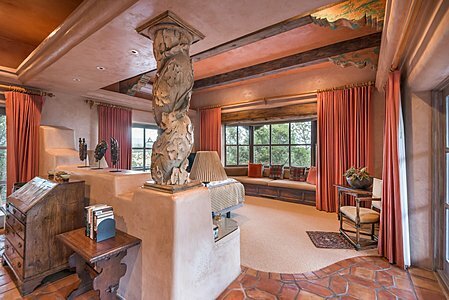 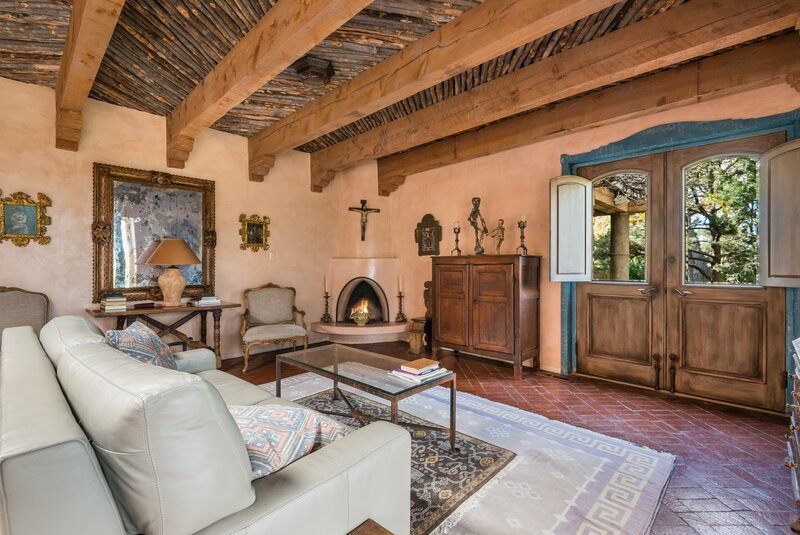 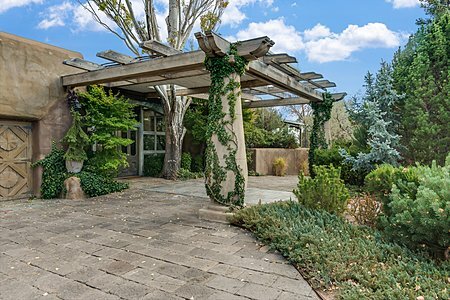 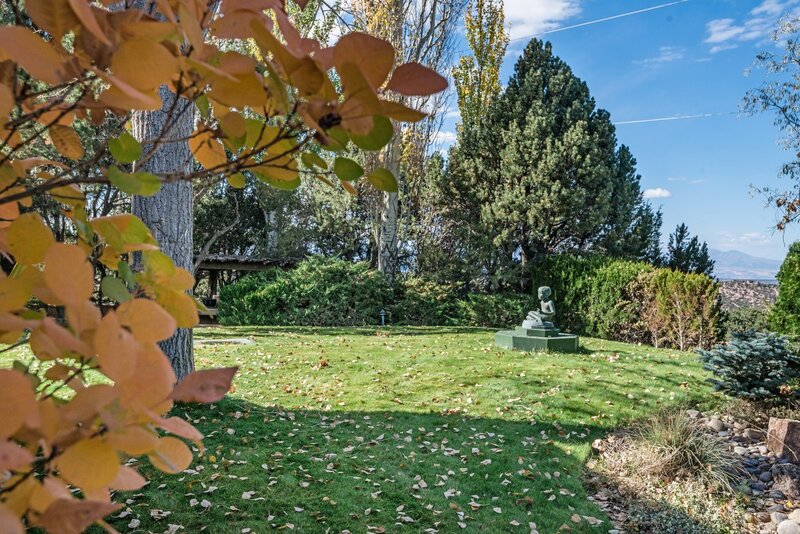 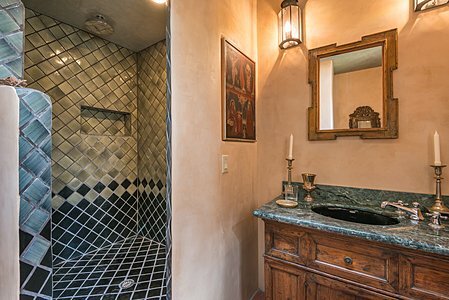 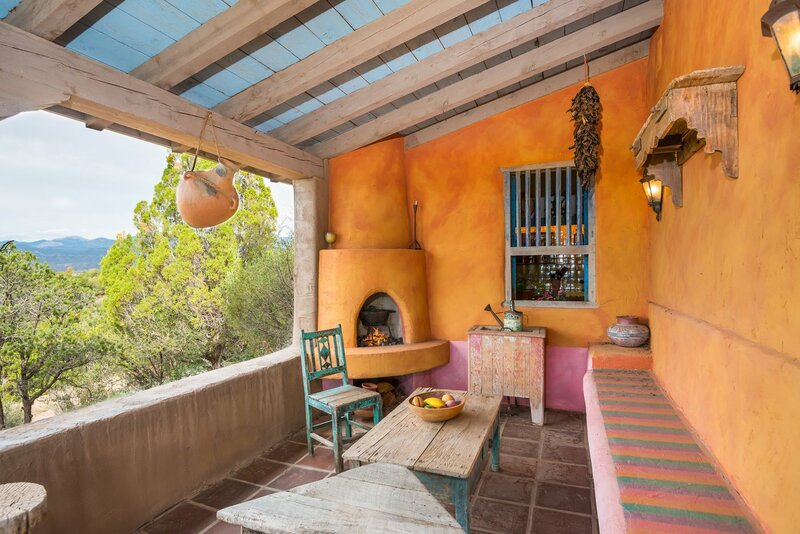 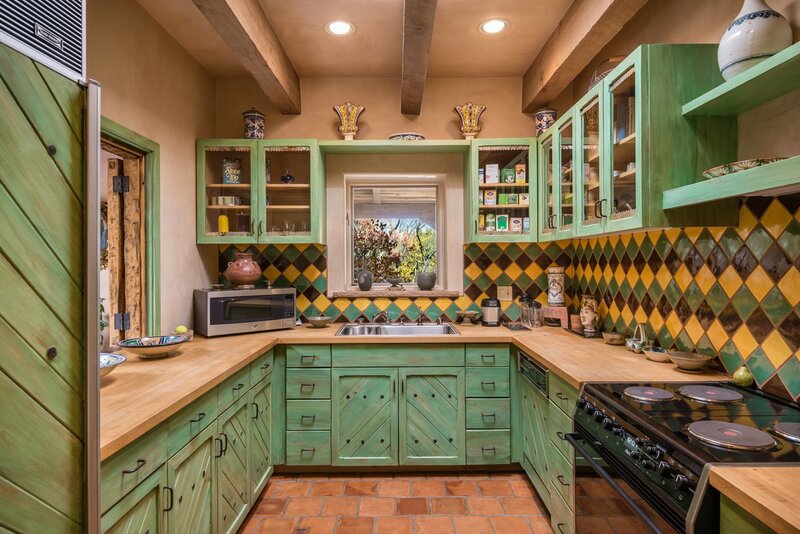 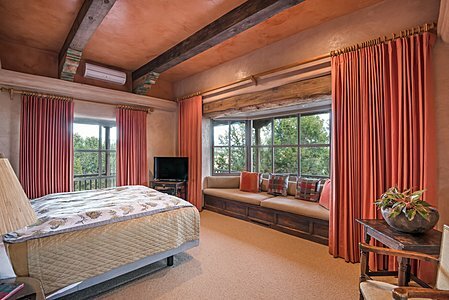 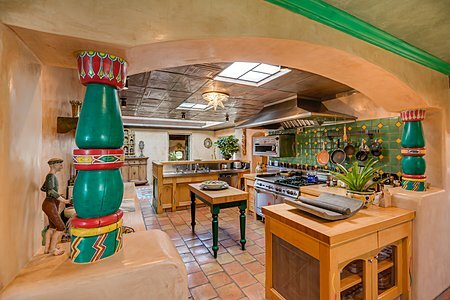 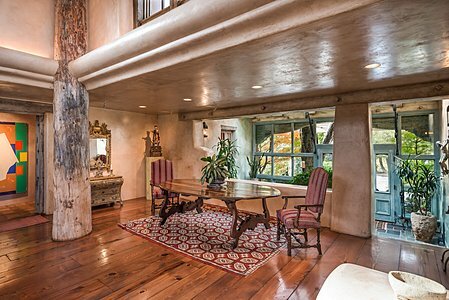 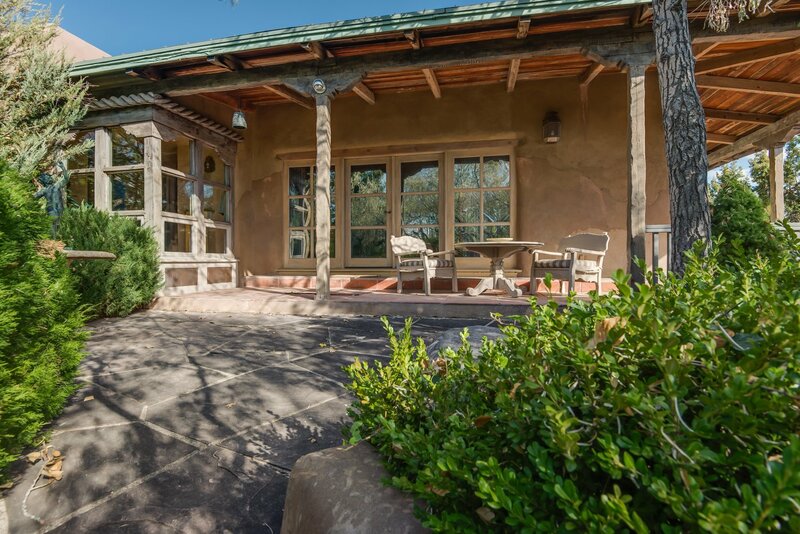 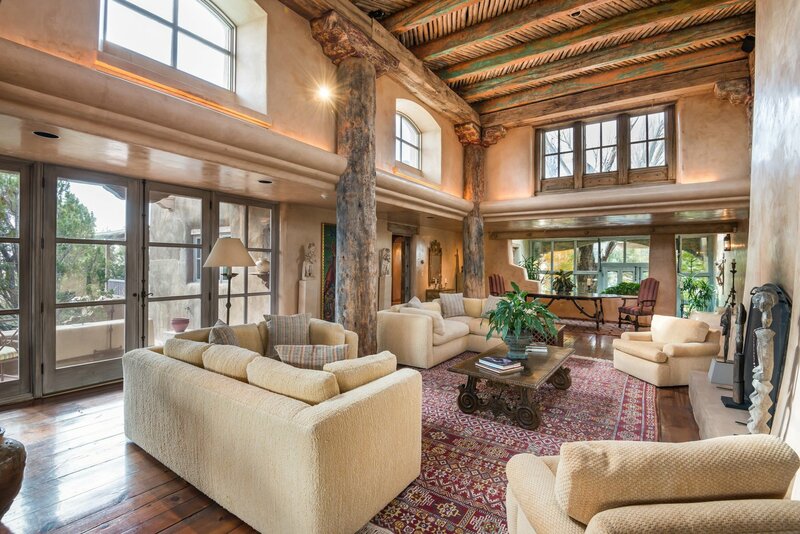 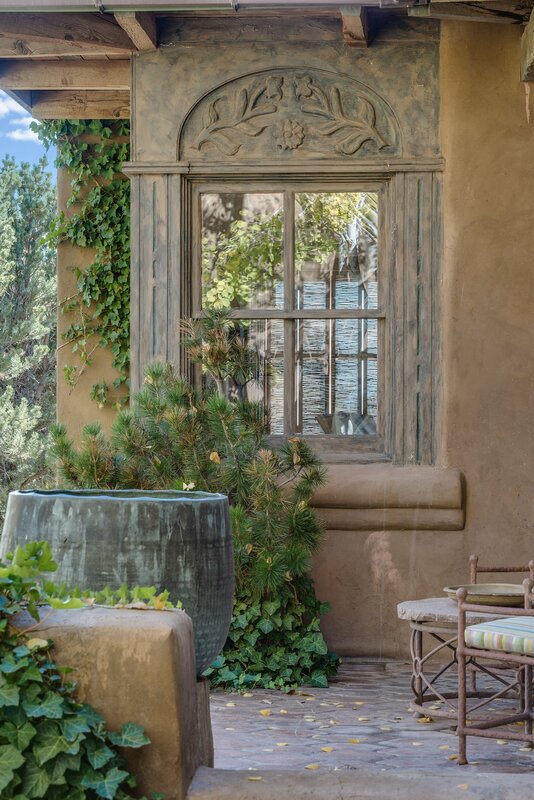 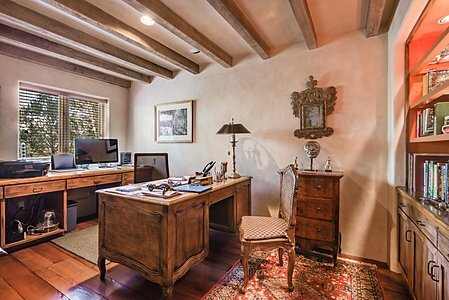 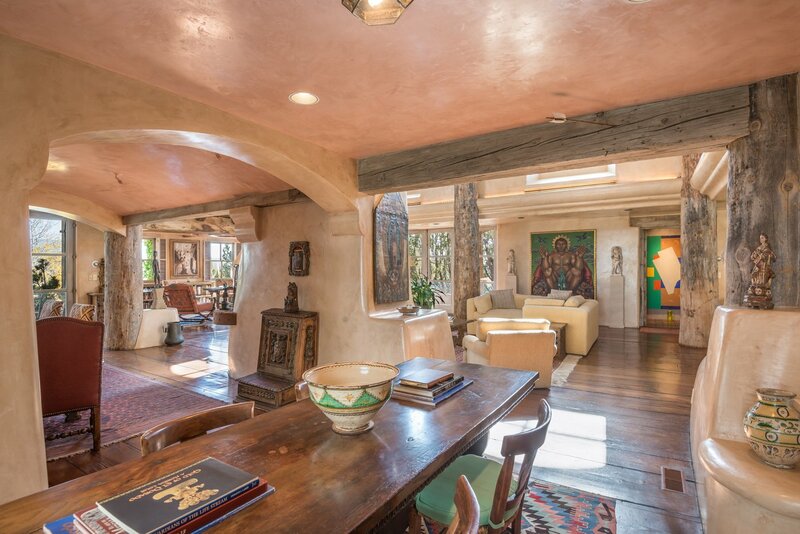 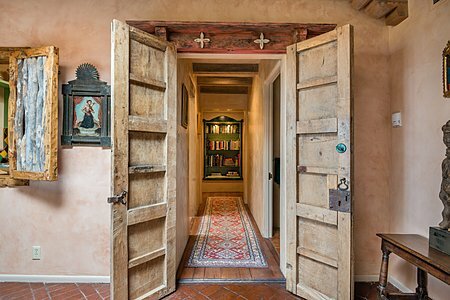 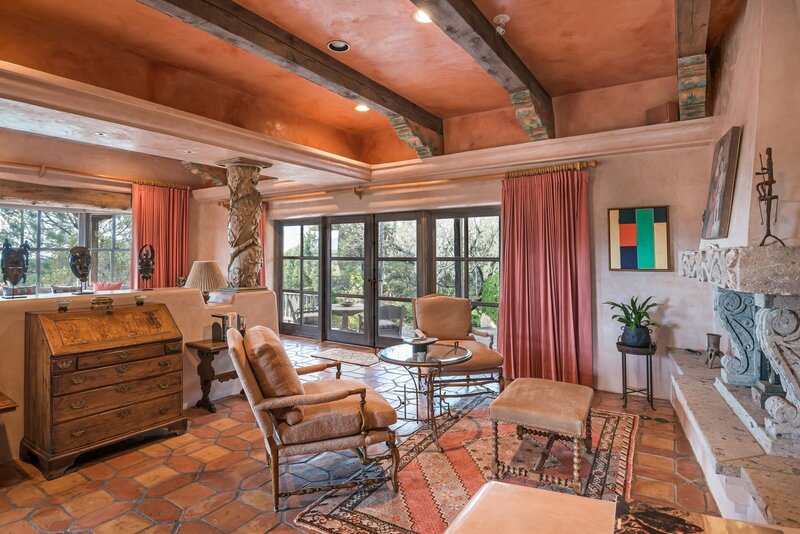 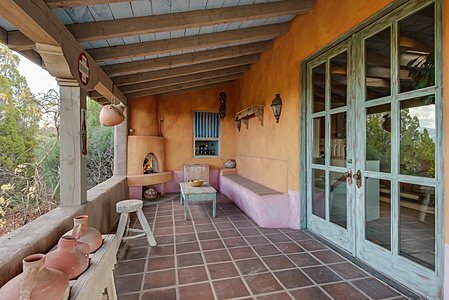 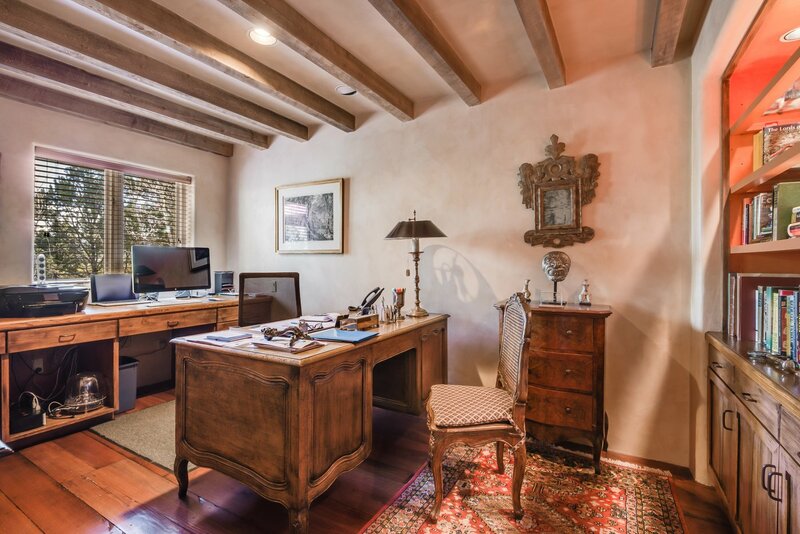 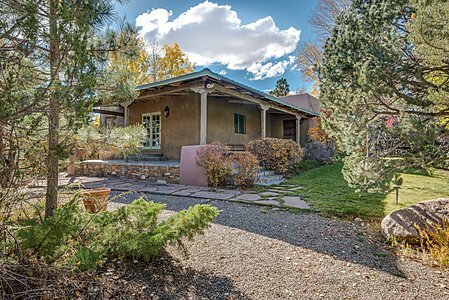 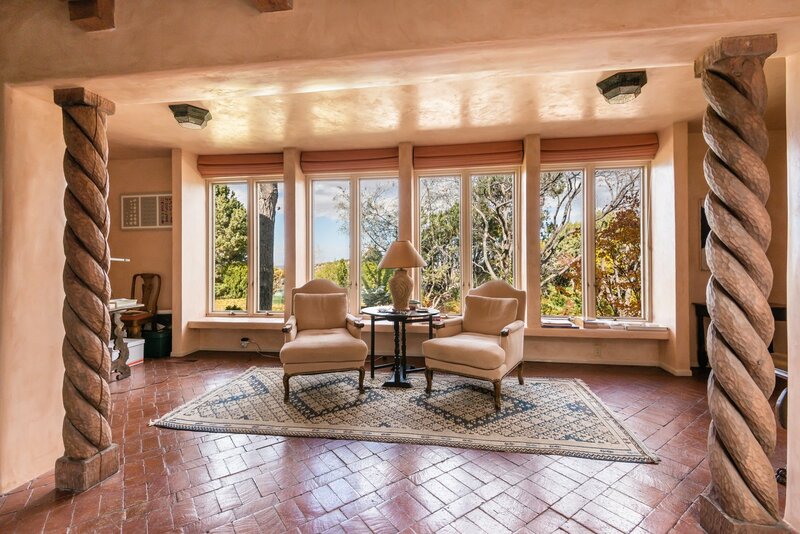 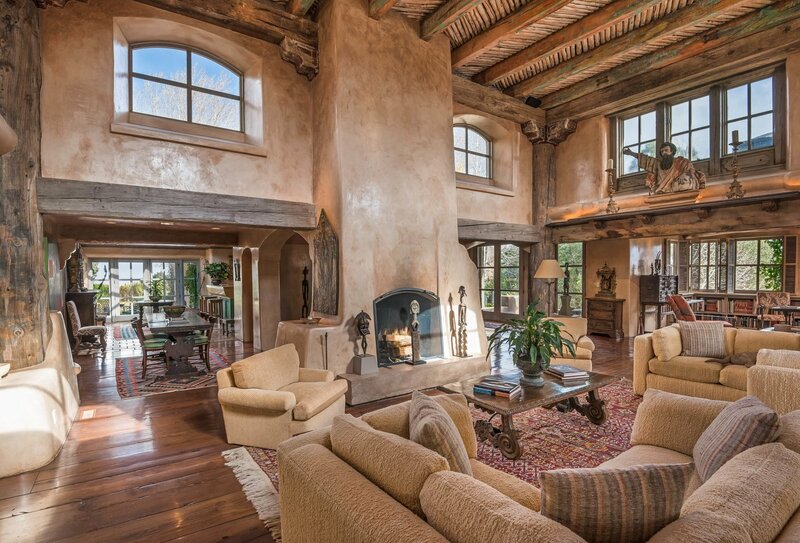 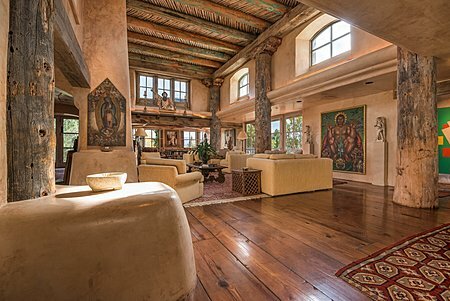 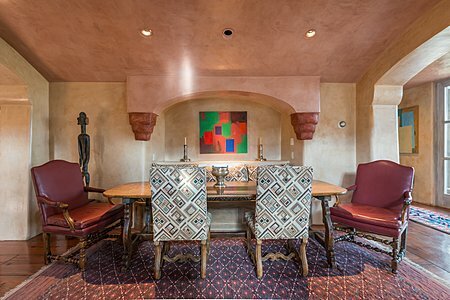 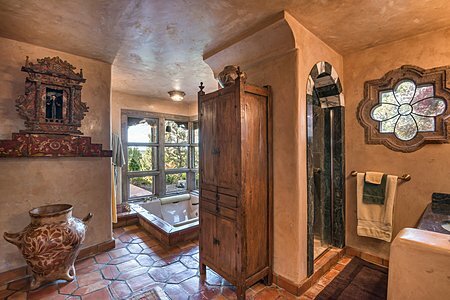 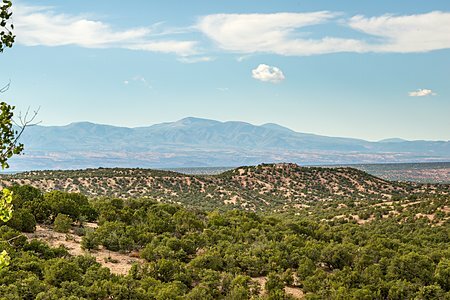 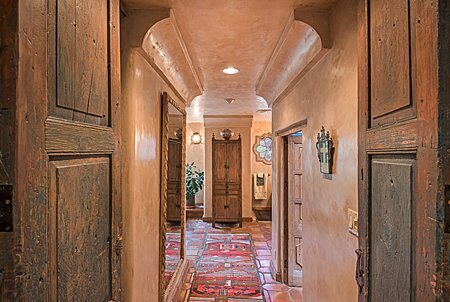 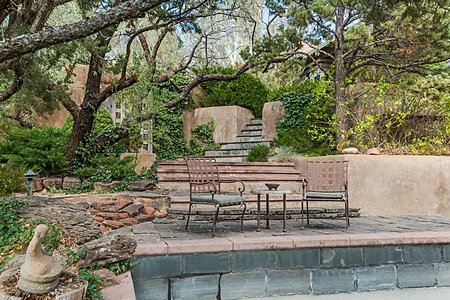 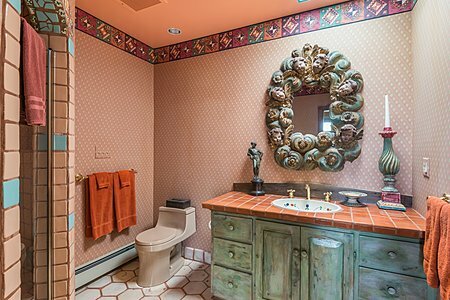 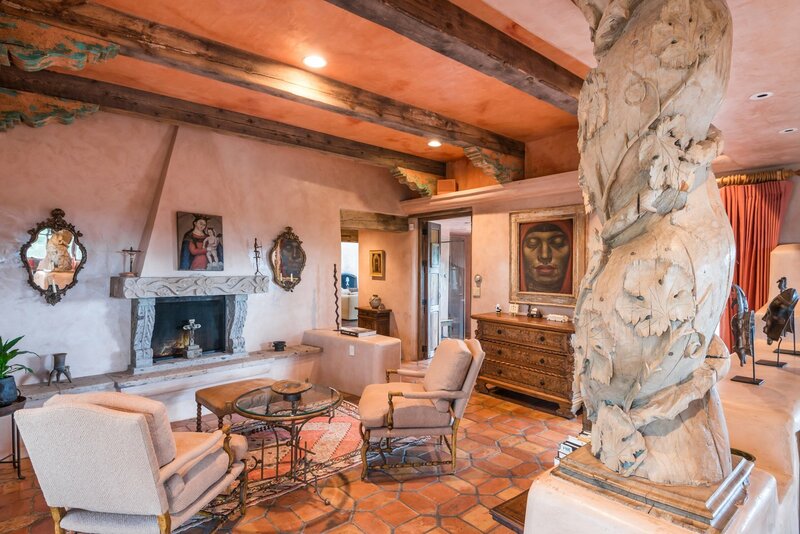 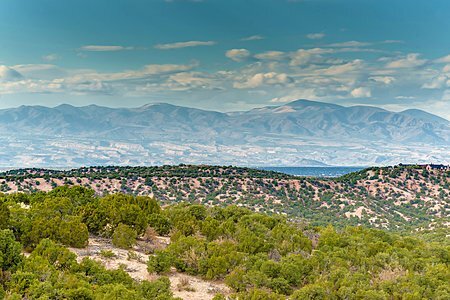 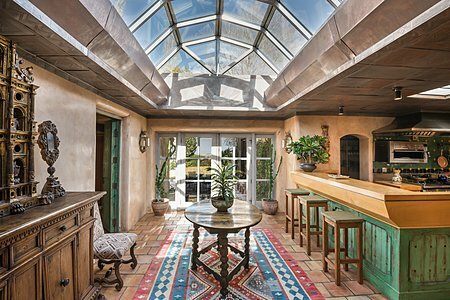 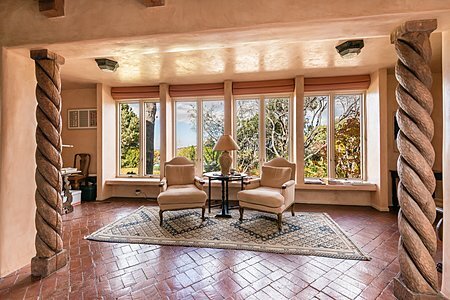 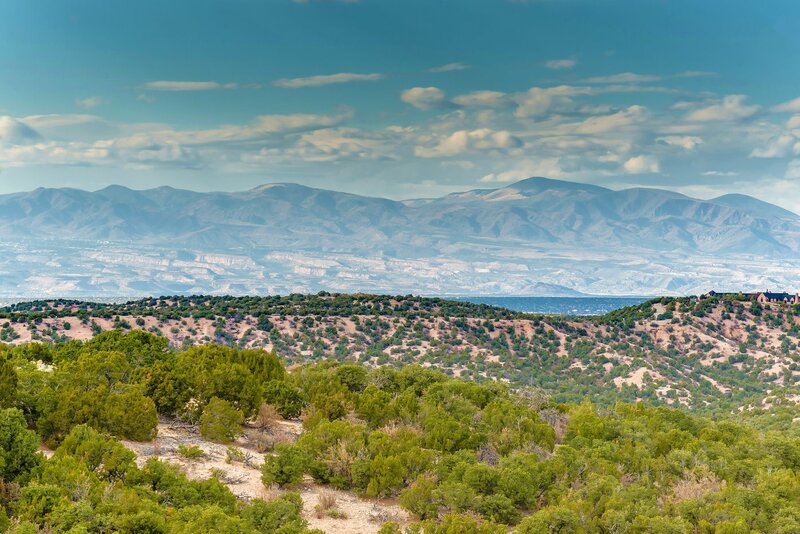 This Santa Fe estate is located on 17 acres and only 6+ miles from downtown Santa Fe. The estate is comprised of a large main house, guest quarters, a fully separate guest house, stable facilities and riding rink, lap pool and a tennis court. The main house, which has stunning mountain and bad lands views, is rich in details that begin inside the entry and continue throughout the house. 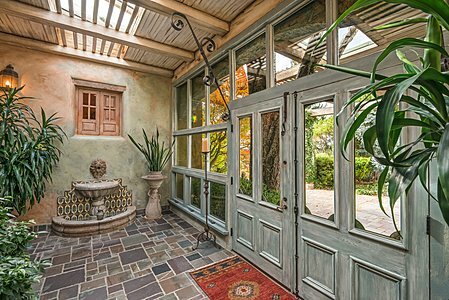 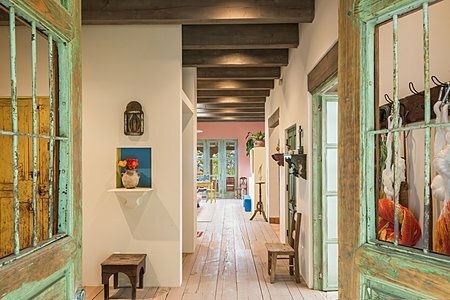 High ceilings, extra-wide planked floors, antique beams and custom tin work only begin to indicate the unique features of the house. 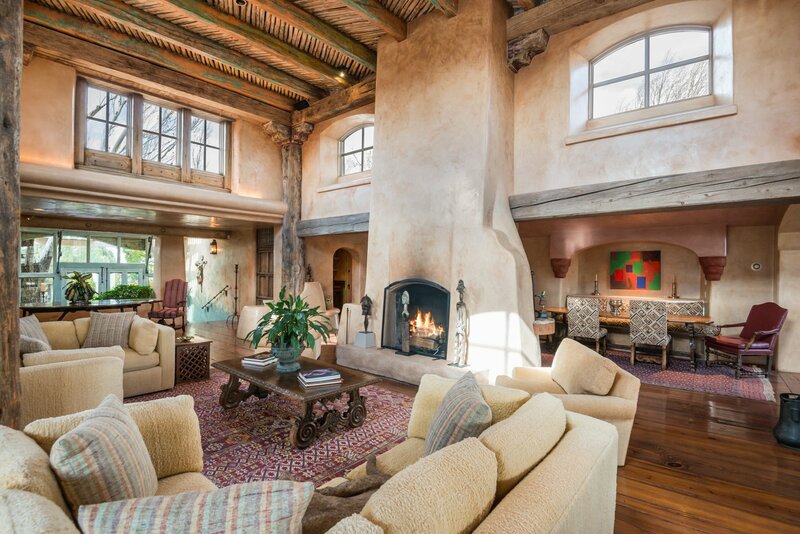 The spacious open floor plan includes a fabulous living room, a more intimate seating area and several dining areas. 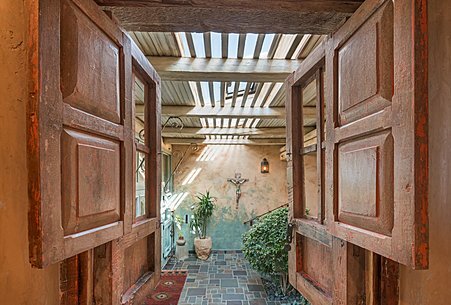 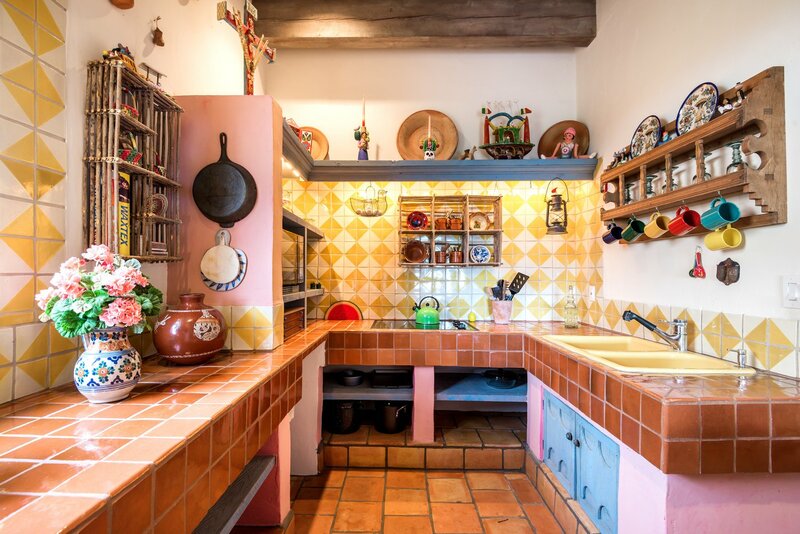 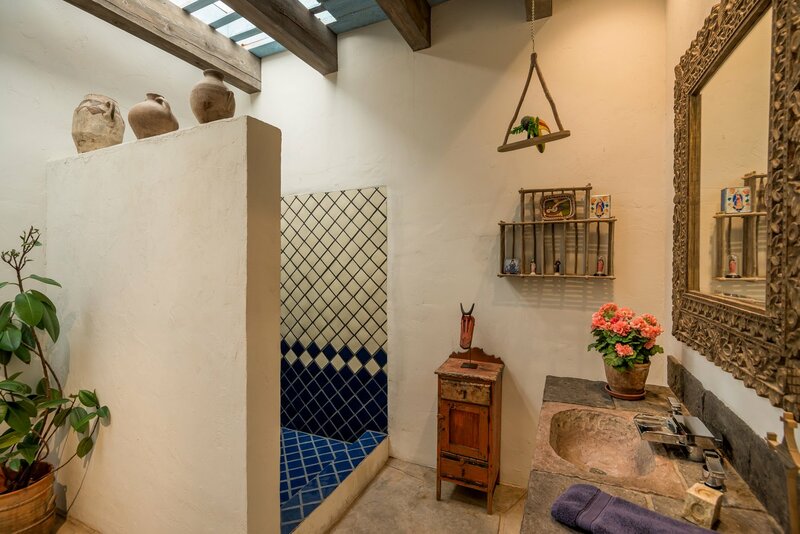 An atrium passage leads to a fantastic kitchen full of folk art details with a worked tin ceiling. 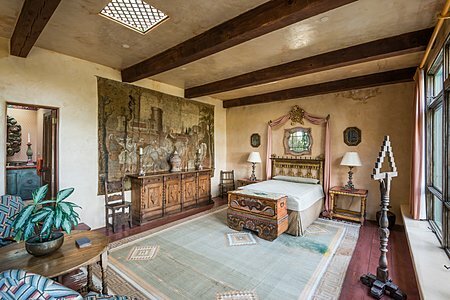 The grand master suite contains a large sitting room that is open to the bedroom, two luxurious baths and a private portal surrounded by lush trees and landscaping. Additionally there is a large guest bedroom and bath. 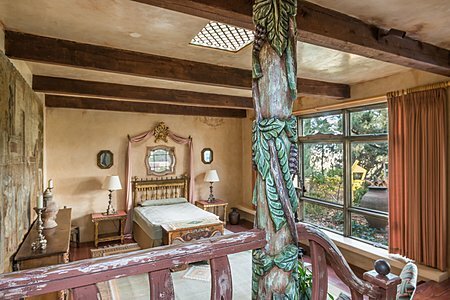 There is also a complete guest suite located at the opposite end of the house that includes a spacious living room, bedroom, bath, a kitchen and private office. 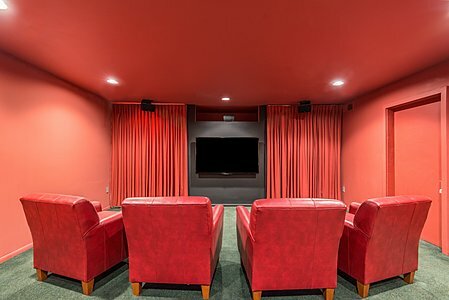 A few steps away is the complete guest house that includes a lower level screening room plus a large two car garage. 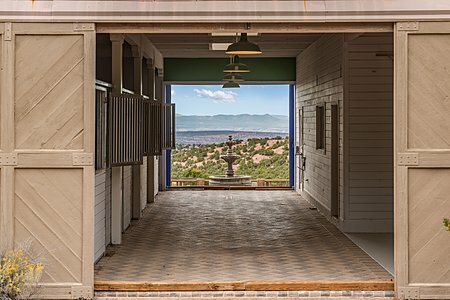 The stable facility has a tack room and managers. 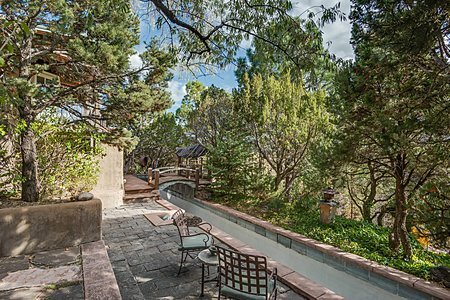 An exercise room and large steam shower are conveniently located adjacent to the lap pool and a short distance from the tennis court. 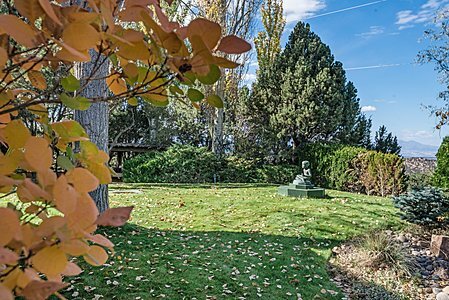 The grounds surrounding the main house are magnificent.